Studies that are carried out in the past 15 years have enabled us to understand more about how our brain works. 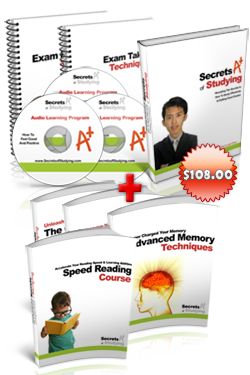 These studies have spawned a new way of learning and are called Accelerated Learning Method. What do I mean by Accelerated Learning? From the word accelerated, you can roughly guess that accelerated learning is a technique that uses a learning style that suits the individual because he relies on techniques that coincide with his favourite way of learning. Thus, the learner learns in a more natural way, accelerating his learning speed. Hence, learning becomes more enjoyable and effective as Accelerated learning uses memory methods that are found in studies. You may ask why is accelerated learning crucial to us? Well, in certain times, we may need to absorb or know information is a short notice of time. In order to do that, you need to apply accelerated learning to help you inculcate information in a logical and imaginative manner. In relation, Harvard professor of education Howard Gardner developed his “Theory of Multiple Intelligences”. His theory suggests that IQ of a person cannot be gauged as a single fixed value through the standard written text. Gardner determined that intelligence is the capacity to provide solutions to problems or create a product which have value in one or many cultures. Simply put, he did not consider how smart the individual is; rather, it is more important to know how the individual is intelligent. Gardner came up with 8 different kinds of intelligence. They are namely Linguistic Intelligence, Logical-Mathematical Intelligence, Visual-Spatial Intelligence, Musical Intelligence, Bodily-Kinesthetic Intelligence, Interpersonal or Social Intelligence, Intrapersonal Intelligence, and Naturalist Intelligence. Linguistic intelligence is the ability to use words to read, write and communicate with one another. People who have excellent linguistic intelligence are writers, authors and journalists. Logical-Mathematical Intelligence is the ability to solve and explain a problem in a logical and systematic way. The people who usually have this ability are scientists, mathematicians, accountants and lawyers. Visual-Spatial Intelligence is the ability to use imagination to imagine the outcome to a problem. They are usually the sailors and photographers who have this skill. Musical Intelligence is the ability to make or compose music and to appreciate musical compositions. Obviously, these people are your composers and musicians. Bodily-Kinesthetic Intelligence is the capability to use one’s body to find a way to solve a problem, make things or express one’s inner feelings and inspiration. These people are your dancers, actors and sportsman. Interpersonal or Social Intelligence is the ability to interact and work cohesively with other people. He is able to socialize with people, showing care and concern, while acknowledging their goals and motivations. They are salespeople, therapists, politicians and even teachers. Intrapersonal Intelligence is the capacity is the ability to reflect and observe oneself. One has the ability to analysis his achievements and behaviors. People who have this skill would be counselors, philosophers as well as people who are at the top of their respective fields. Naturalist Intelligence Is the ability to identify flora and fauna, creating significant distinctions in the natural world and relying on this skill to make a living. Those who have this intelligence would be environmentalists, biologists, botanists, and even farmers. Most of the IQ test only uses linguistic and logical-mathematical intelligence to judge the intelligence of a person. 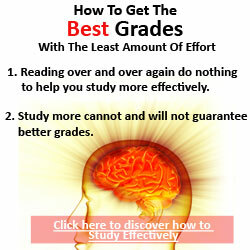 In the case of accelerated learning, the other types of intelligence are used too. Only when one has the ability to use the all different types of intelligence, he can be said to harness the true potential of his brain.